1 . 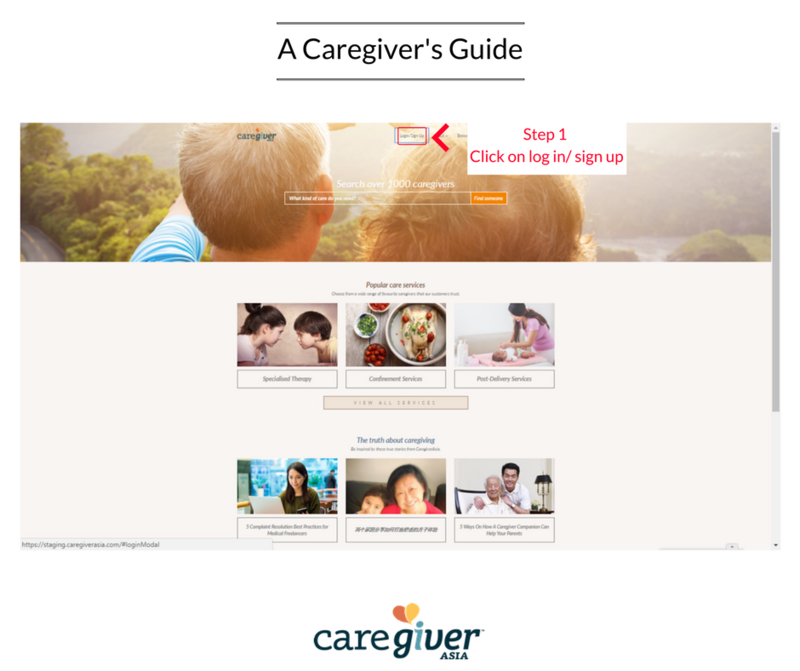 How do I start using caregiverasia.com? 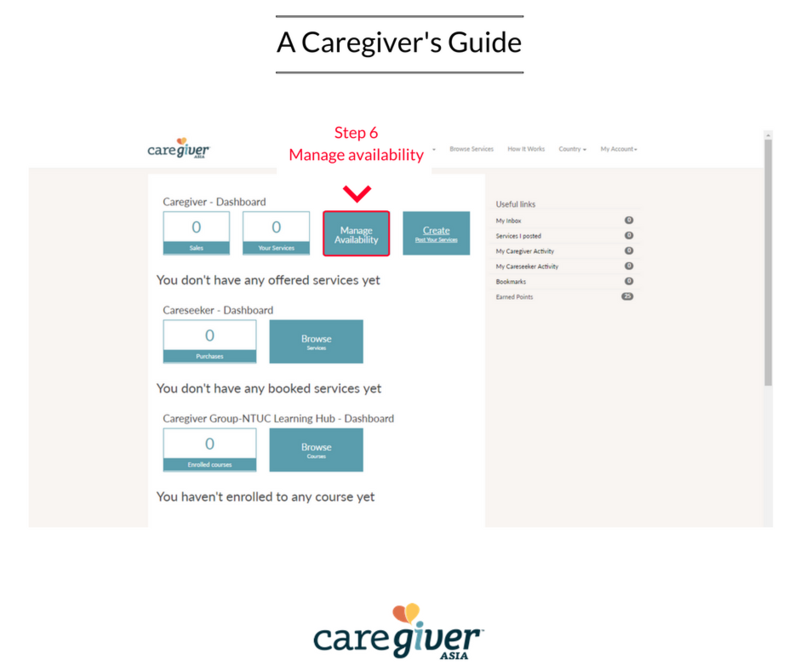 As a Careseeker you can immediately start browsing by clicking on “Browse Services” or one of the Caregiver Categories. 2 . How do I book a care service? To make a booking you will need to sign-up or login if you already have an account with us. All new users will need to sign-up by completing the registration form. 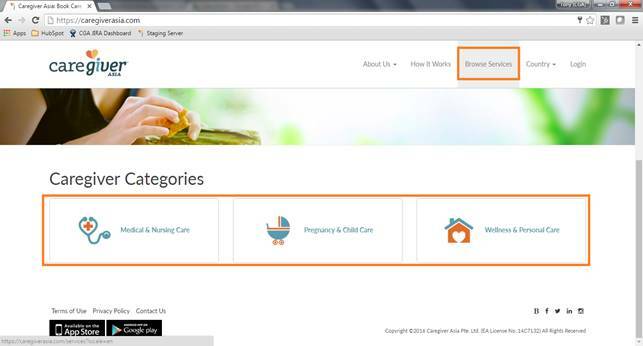 Select the "Careseeker" option and complete your personal details. An email will be sent to you to verify your account. 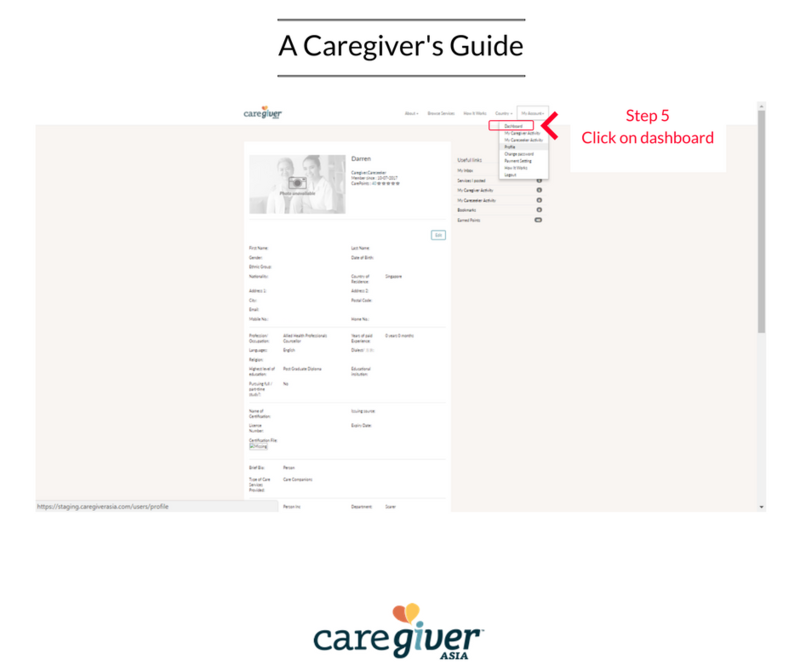 If you'd like to register as a Caregiver, please refer to the next section. Once you have completed the quick registration you are now ready to book. When you’ve found a care service you’d like to book choose a time and click "Book Now". Follow the prompts to make payment via your credit card and that’s it! If you’re unable to find a care service or suitable time schedule, please contact our Call Centre on +65 6258 6683 and our team will be more than happy to help. 3 . What are the booking charges? We have a 48-hour cancellation policy which means any service cancelled within 48 hours of the service commencement is non-refundable. This is due to the fact that many of our Caregivers provide services that require up-front preparation, purchasing of consumables or pre-work to ensure quality of service. We will however, provide a refund in the event of death. If the cancellation is done before 48 hours of the service commencement the full amount of the service charge will be refunded back to you (excluding the booking charges). Please note that the booking charges are always non-refundable. 5 . 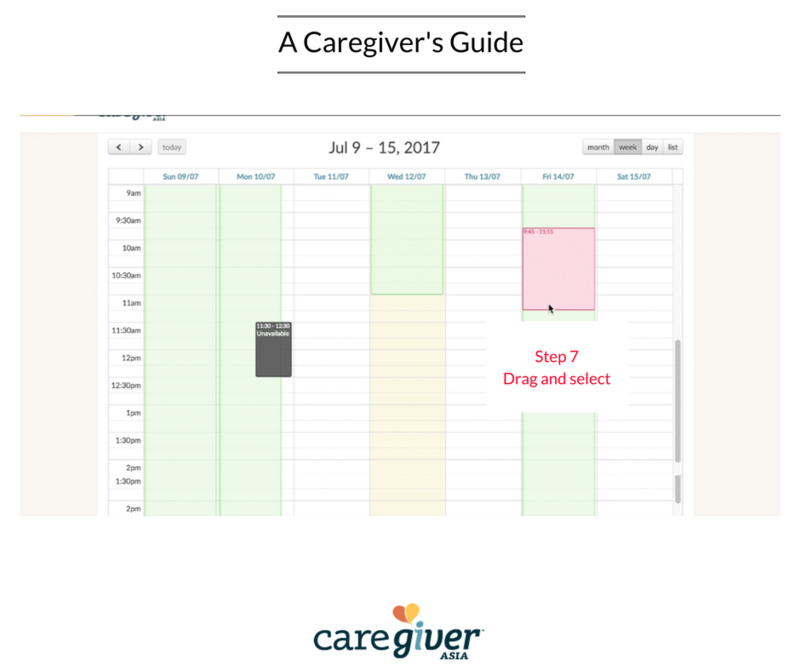 What happens if the Caregiver cancels on me? Immediately contact our Call Centre on +65 6258 6683 and we will help you find another Caregiver. We strongly discourage our Caregivers to cancel bookings without a legitimate reason as Careseekers can provide this type of feedback in a review. A Caregiver with a continuous record of cancelling will be removed from our site. 6 . I booked a care service but I wasn't sure if the payment went through. What should I do? You will be notified via email if you're booking and payment has been successful. If you do not receive this within 1 hour, please contact our call centre on +65 6258 6683. 7 . Is there a binding contract between the Caregivers and me? 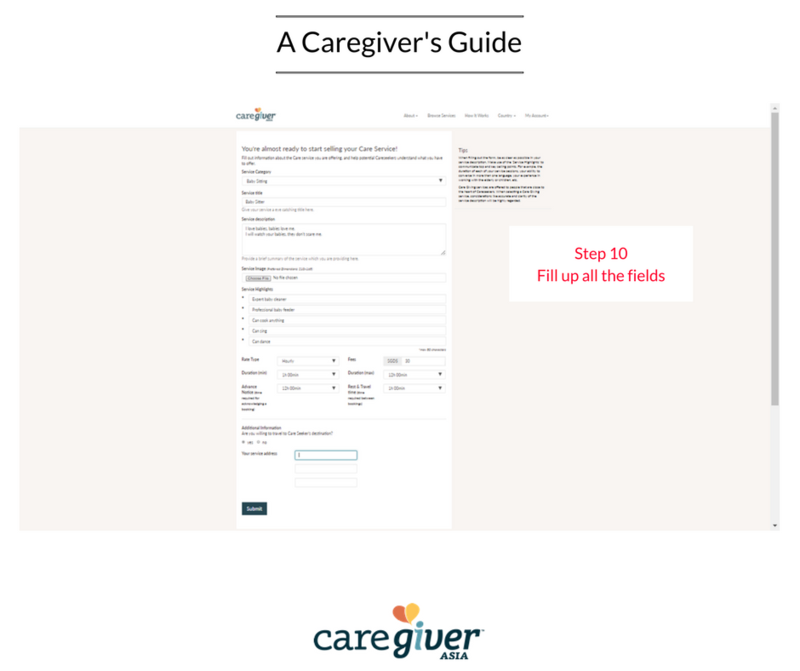 Please note that when you purchase the service(s) on our website, upon successful completion of the transaction, you are entering into a binding contract with the Caregiver(s). 8 . Do Caregivers have insurance? Yes! CaregiverAsia has partnered Great Eastern to cover all our Caregivers are with Personal Indemnity (Medical Malpractice) Insurance. This insurance is underwritten by Great Eastern General Insurance Limited and distributed by CaregiverAsia to registered caregivers for all their cases that with CaregiverAsia. This is a form of liability insurance that protects individual caregivers from legal liability arising out of a claim made against them by their client for rendering of, or failure to render, medical services which results in bodily injury, sickness, illness, mental injury or death of the client. 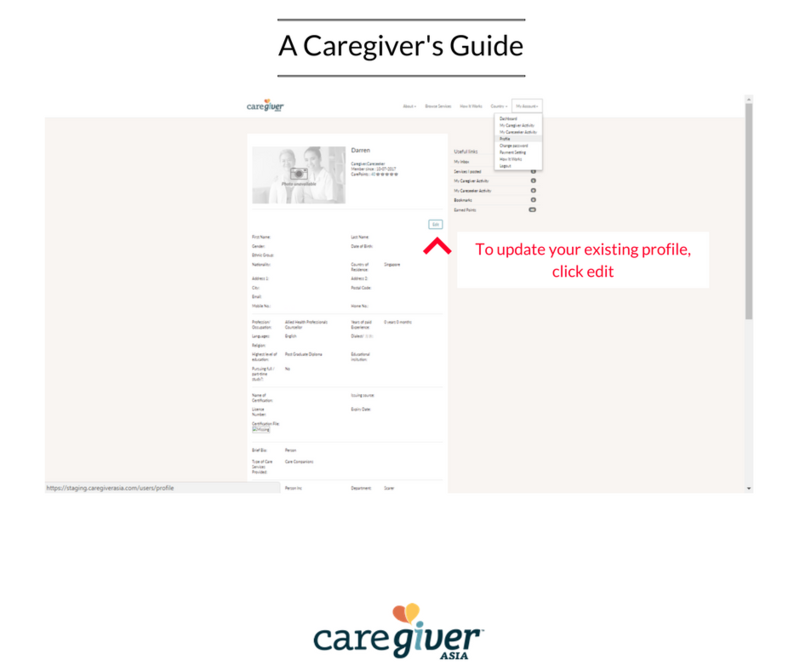 As a Caregiver, you will need to register and create a profile before you can start posting your care services. Here is a step-by-step guide. 2 . How much does it cost to post a service? Absolutely nothing and we plan to keep it this way! 3 . What should I write when I am posting a service? When you are posting your service(s), be as specific and accurate as possible. Remember not to over promise on the service(s) to be provided. 4 . How am I notified about a booking? You will be notified of a successful booking via email. For urgent cases we may contact you directly via phone. 5 . How do I get paid? Once the service has been completed we will make the full payment to you 3 business days later. This is to ensure the Careseeker is completely satisfied with the service they received and also allow time to resolve any disputes. We will also require your bank account details for us to make the payment directly into your account. Our call centre team will contact you shortly after you’ve completed your registration to obtain this information. 6 . What if I don’t receive my payment when I expect to receive it? 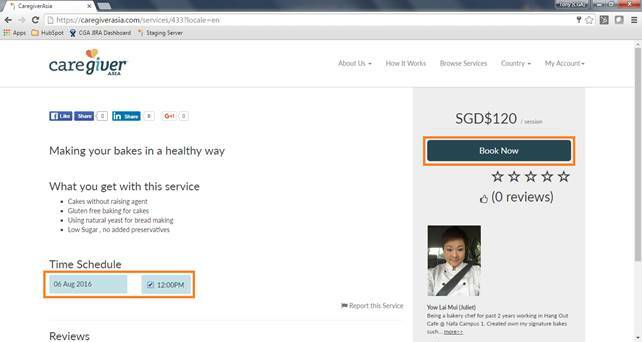 Contact our call centre on +65 6258 6683 and we will find out what happened! 7 . What happens if a Careseeker cancels the booking? Please refer to the above section on our cancellation policy. 8 . What happens if I need to cancel a booking? We strongly discourage cancelling a booking unless it is absolutely unavoidable. Remember the available time you post are a commitment you make to our Careseekers. Breaking this commitment will leave you open to unfavourable reviews and should we see a pattern of cancellations you will be removed from the platform. 9 . Is there a binding contract between the Careseekers and me? Please note that when you have agreed to provide the service(s) on our website, upon successful completion of the transaction, you are entering into a binding contract with the Careseeker(s). 10 . 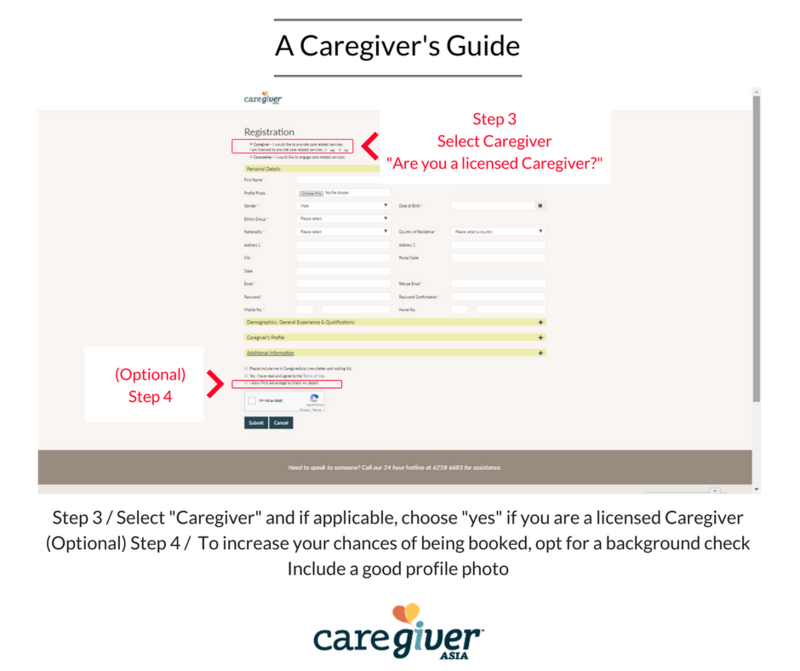 What does CaregiverAsia insurance cover us as freelance Caregivers? Important Notice: These are broad answers to frequently asked questions about the Professional Indemnity (Medical Malpractice) Insurance. Please refer to the Policy wording for full terms and conditions. A) What is Professional Indemnity (Medical Malpractice) Insurance (“Policy”) and what does it cover? Please refer to Policy wording for full terms and conditions. B) Who is the insurance provider for this Policy? The Policy is underwritten by Great Eastern General Insurance Limited and distributed by CaregiverAsia to registered caregivers. 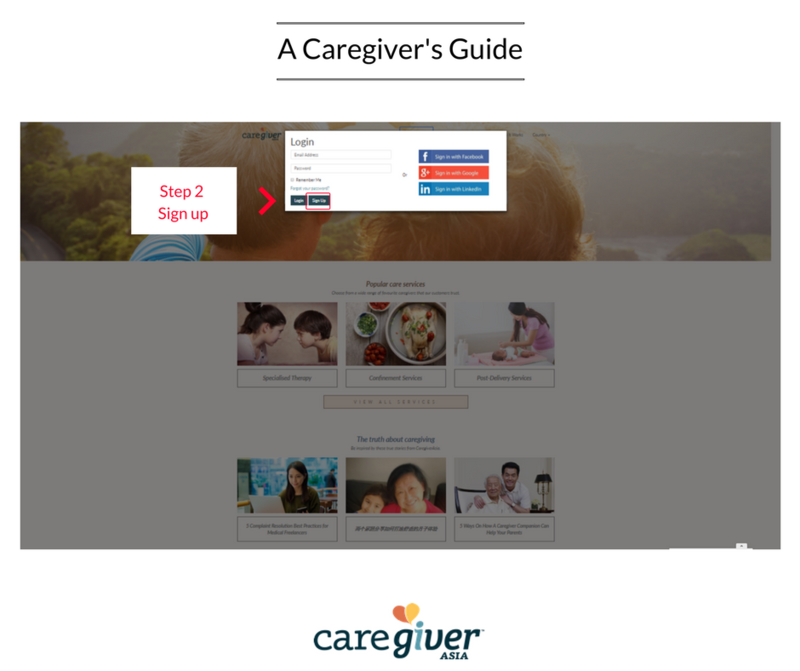 C) Why has CaregiverAsia partnered Great Eastern to offer such a Policy? CaregiverAsia is committed to providing the fullest support to freelance caregivers. Financial safety nets, such as this insurance Policy, will allow our freelance Caregivers to practice their trade with peace of mind. We understand that the nature of a caregiver’s job often requires close proximity and physical contact with the careseeker. Disputes and differences over how care should be provided do happen sometimes and this Policy will protect our Caregivers from legal liability if any. D) Who is covered under this Policy and how much is the coverage? All registered freelance Caregivers, with the exception of Medical Doctors, are automatically covered under this Policy up to a maximum of S$500 for one claim per year. This is a promotional offer available for a limited time only. •	Service and support from our lovely CaregiverAsia team! 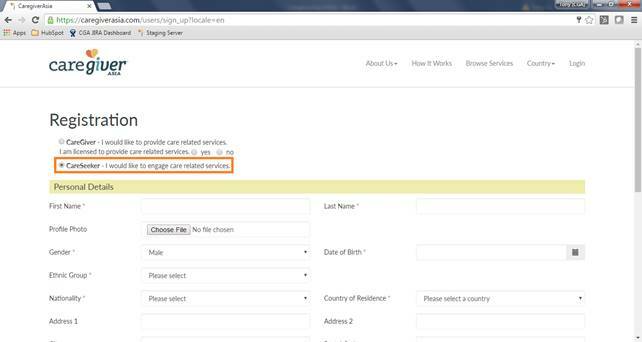 The care service must be booked through CaregiverAsia’s website at www.caregiverasia.com or 24-hour telephone hotline at +65 6258 6683. E) Where can I purchase these packages? 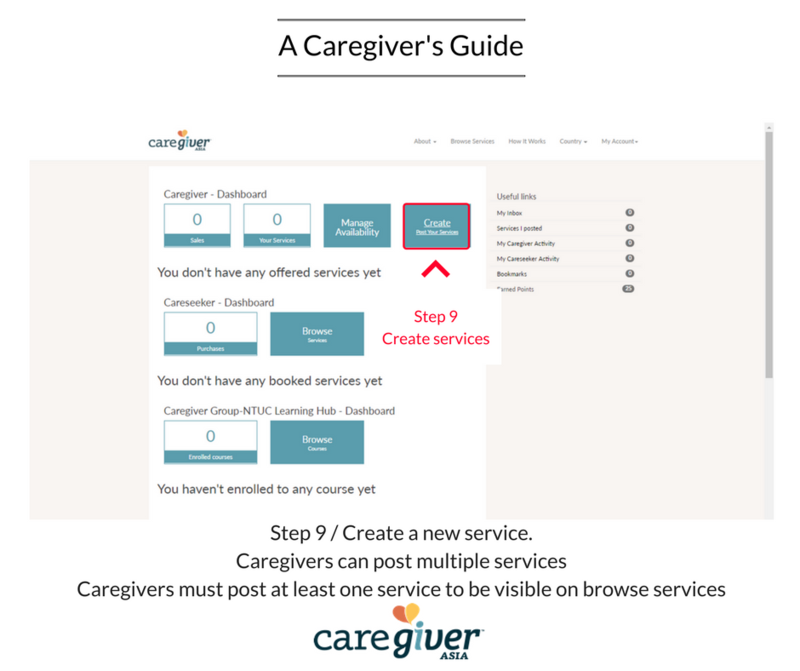 These packages are available only to freelance Caregivers registered with CaregiverAsia. 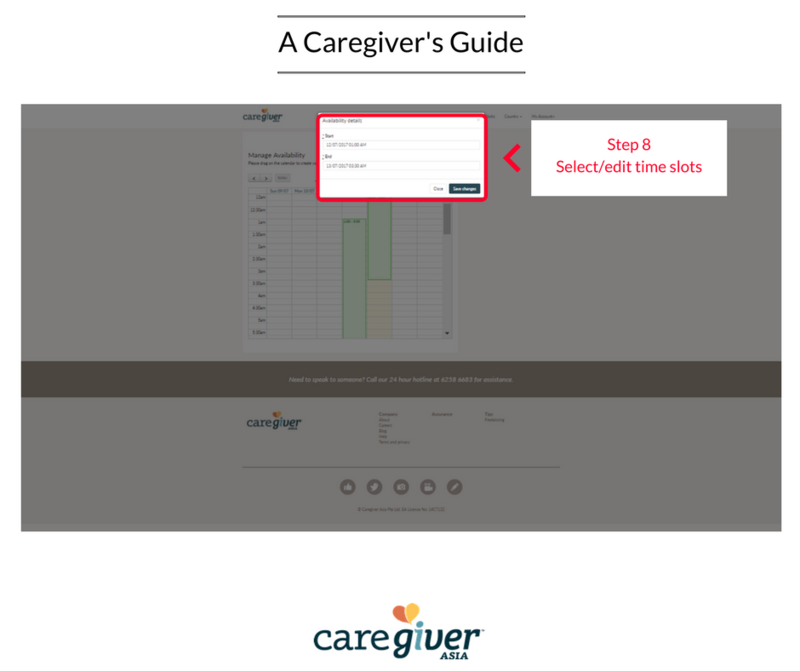 Please login to your Caregiver dashboard to complete the purchase. If you wish to register yourself as a freelance Caregiver with us, please visit www.caregiverasia.com. F) Will I be notified of the successful purchase of the packages? Yes. An email confirmation will be sent to you, at your registered email address with CaregiverAsia, with more information of the Policy coverage as well as details of the claim process. A copy of the Policy document will also be posted to your dashboard for future reference. G) What should I do if I need to make a claim? We want you to know you are not alone should any situation arise. Please call CaregiverAsia’s 24-hour telephone hotline at +65 6258 6683 immediately if you know of any issues that could have occurred and we will advise you on the next steps.